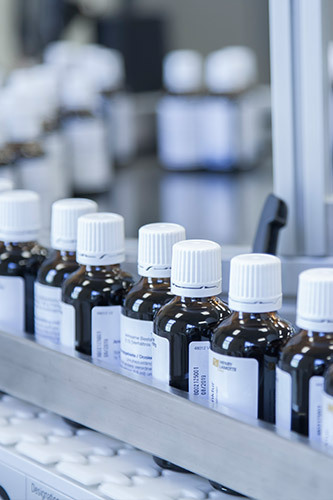 We produce liquid and semi-solid pharmaceuticals and health products for our customers always reliably, free of error and at competitive prices. Our professionalism amazes our customers and business partners. For our employees we create a positive and encouraging working environment in which their ideas, talents and careers are fully supported. We strive for permanent improvements and sustainable growth in order to maintain the highest service and quality standards within a demanding and challenging economy. Our company is member of HanseBelt e.V. Together with other organisations we promote the advantages of our northern region in order to strengthen economical growth and work-life values.